Chocolate pretzel pops from The Decorated Cookie are a simple Valentine's Day treat. This recipe only requires two ingredients and a small amount of skill. Traditional snack pretzels are filled with pink and red chocolate until they resemble hearts. 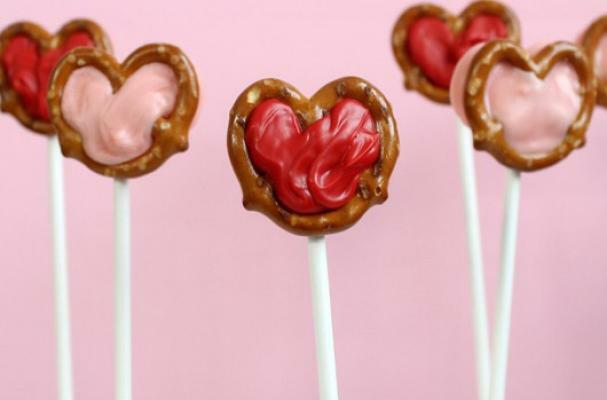 You can decorate the pretzel pops with assorted Valentine's Day themed candies. For recipe instructions, click here.